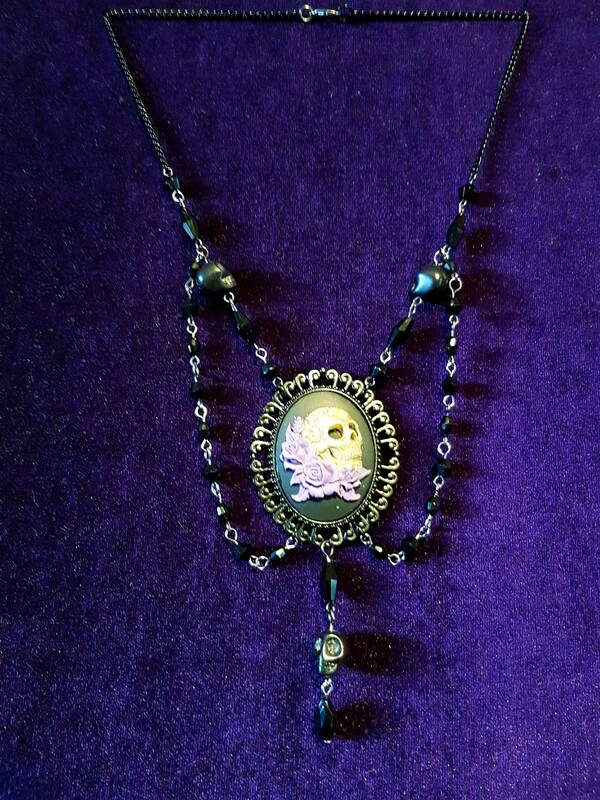 Beautiful handmade beaded cabuchon neckpiece. 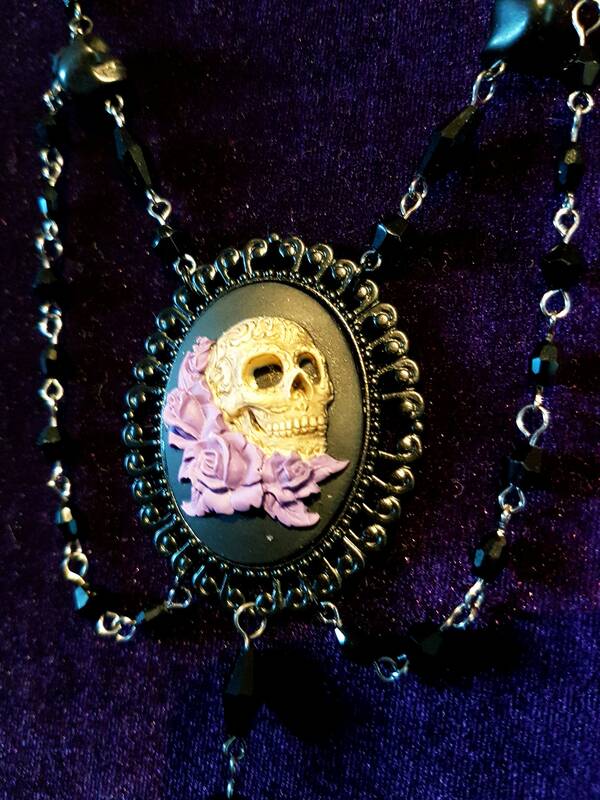 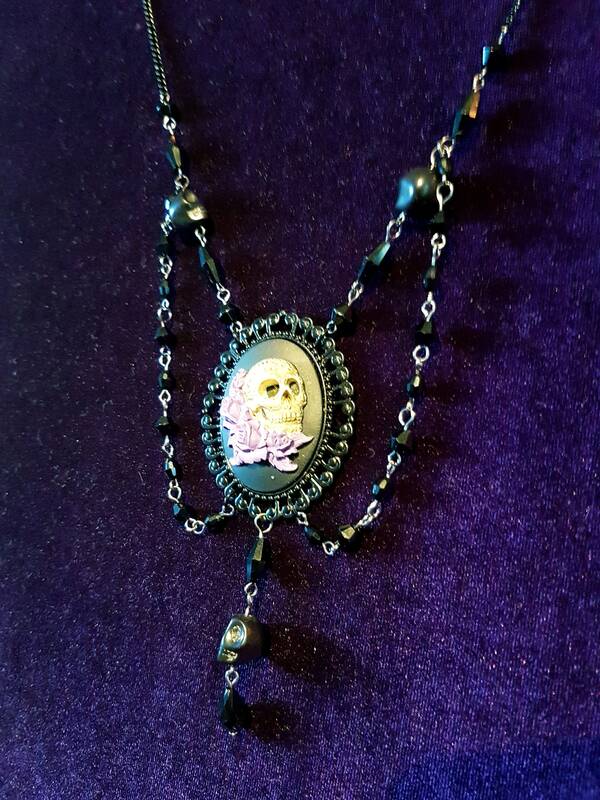 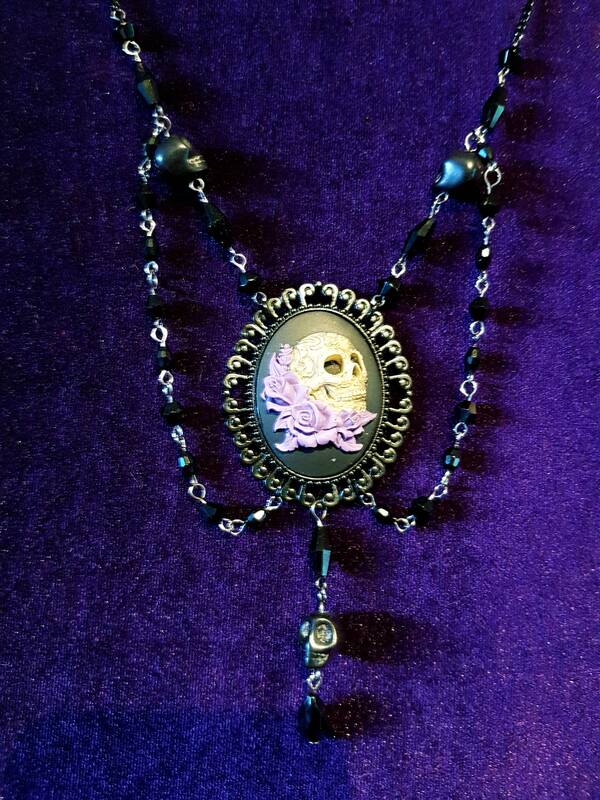 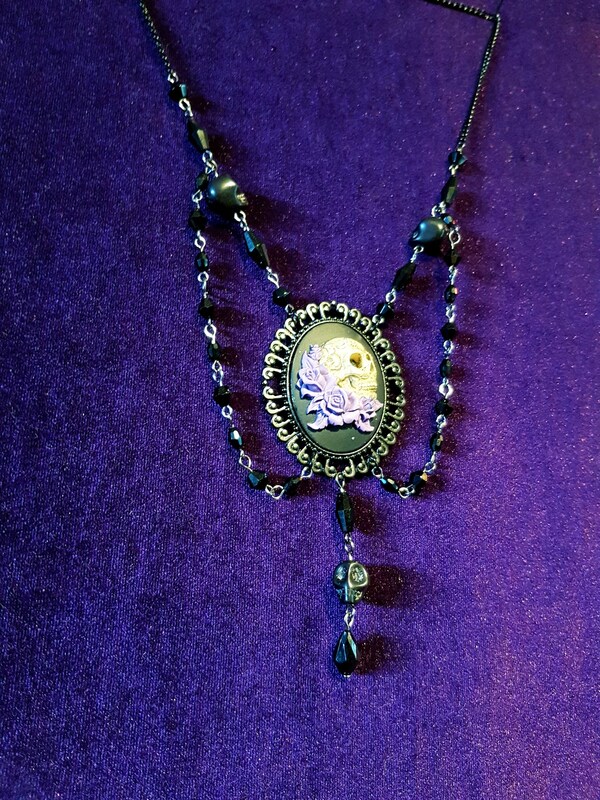 - Handpainted resin cabuchon with White/grey skull & purple flowers. 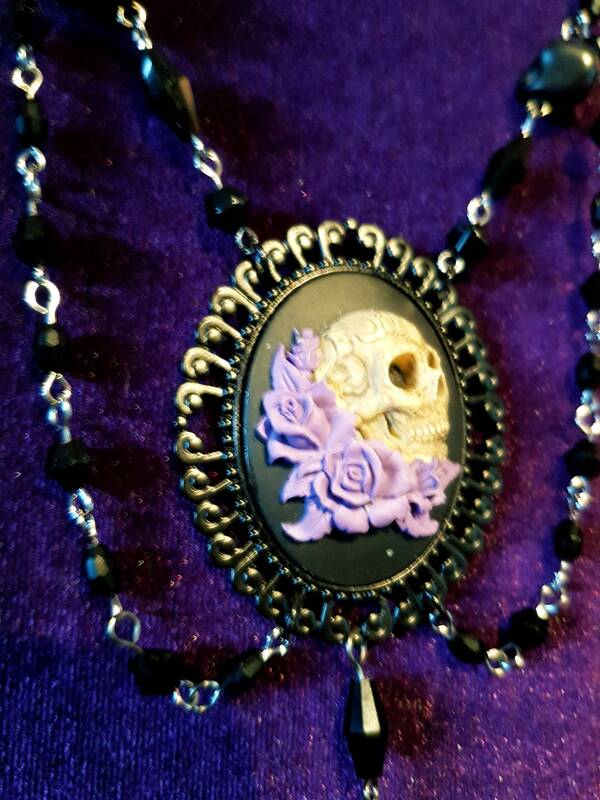 - Glossy black beads & black skull beads.